We shared a dream to take our family around our Australia twelve months. Such a dream takes a lot of hard work to turn into reality. With time a precious commodity, we found ourselves racing towards our departure date madly trying to get ourselves ready to leave. During our travels we came across many families whose holidays had been all but ruined due to inadequate preparation, a lack of understanding what they would be doing, or what some would call plain bad luck. 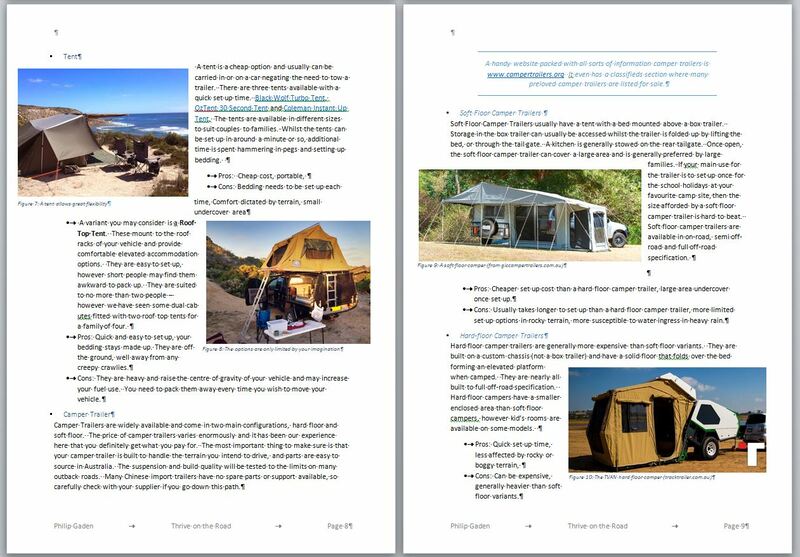 My solution was to collate all the lessons we learnt in our preparations and whilst we were travelling into an e-book: Thrive on the Road, Tips and tricks to make your holiday on the road every bit as enjoyable as it should be. Thrive on the Road, Tips and tricks to make your holiday on the road every bit as enjoyable as it should be shares some of the lessons we learnt during our preparations for our big lap, and the others we learnt along the way, so you don’t have to make the same mistakes we did. A friend once told me that anyone can be uncomfortable camping. 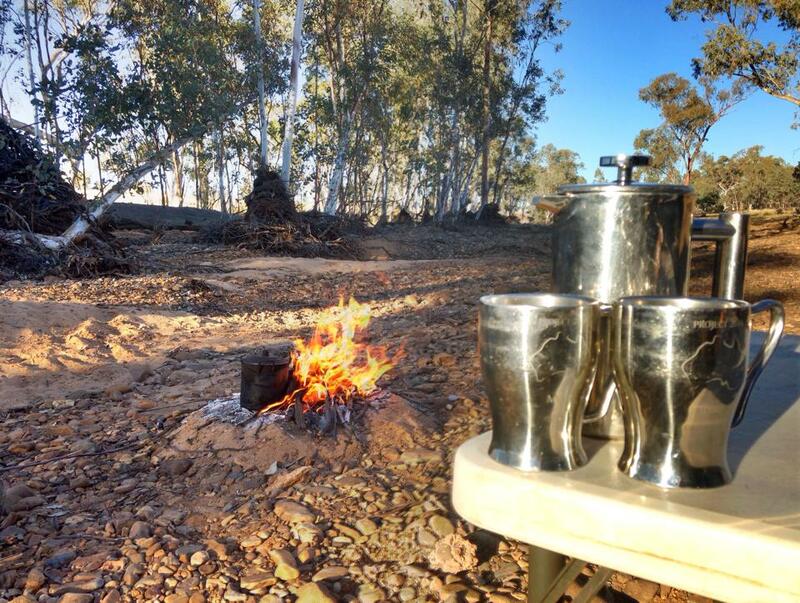 With a little bit of planning, and careful selection of equipment, camping can be fun, comfortable, enjoyable and safe, no matter what the weather! We found that you make your own luck. We broke down in some of the remotest parts of the country, and somehow these experiences became highlights of our journey. All too easily they could have become tragedies. As a Search and Rescue Coordinator, I have been involved in extensive searches for people who have made some fundamental mistakes in their preparation. Unfortunately not all of these searches have been successful. I have also seen many people quickly rescued who were well prepared, and were able to alert authorities that they needed assistance due to their remote communication plan working. There are now so many products on the market that allow us to communicate in remote areas, or in an emergency, that finding the right one for our needs is difficult to do. If you’re confused as to what the various items do, how they work or what will happen once you have pressed the emergency button, then you need Save Our Selves – A guide to getting help in remote areas becomes invaluable. Not only does this e-book show you how to get help if you’re stranded, but it is the only place you can compare 406MHz PLBs, SPOT Messengers, inReach satellite messengers, TracMe UHF beacons, as well as being the only place you can find the telephone numbers for Police Stations that are manned 24 hours a day in all of Australia. This is of vital importance if you choose to buy a satellite telephone. It is a must read when determining your remote communication plan. It is free when you purchase a copy of Thrive On The Road. Because I am passionate about sharing this information and potentially saving your life, I am offering the e-book Thrive on the Road, Save Our Selves e-book and the “I’ve Gone Travelling” template for a discounted price of just $30.00 $9.95! That’s right two e-books and the template for one low payment of just $9.95!!! So you’re getting this e-book that may just save your life, valued at $30.00, plus the other e-book that will make your life comfortable whilst travelling and the handy template valued at $5.00. That is $3500 value all for just $9.95 This represents unbelievable value. You have 30 days to try my e-books, and if for ANY reason you are not completely satisfied with the content, you can email me and I will happily refund 100% of the purchase price. That’s right – if for any reason you feel that this book doesn’t meet your expectations, then I will refund every cent of your purchase price. There is no risk. Payment is through the secure PayPal site, and is 100% guaranteed. You should buy these e-books now – One of them may just save your life or the life of someone you love. The other might save your marriage! There is no point having wishing you had purchased these book,s when you’re stuck in a remote area and desperately need assistance, or you’re two weeks into your great adventure and everyone wants to go home..
That’s right one low price of just $9.95!!! Could this be the best satellite phone?